Tactile Graphics using technology for low cost production process. 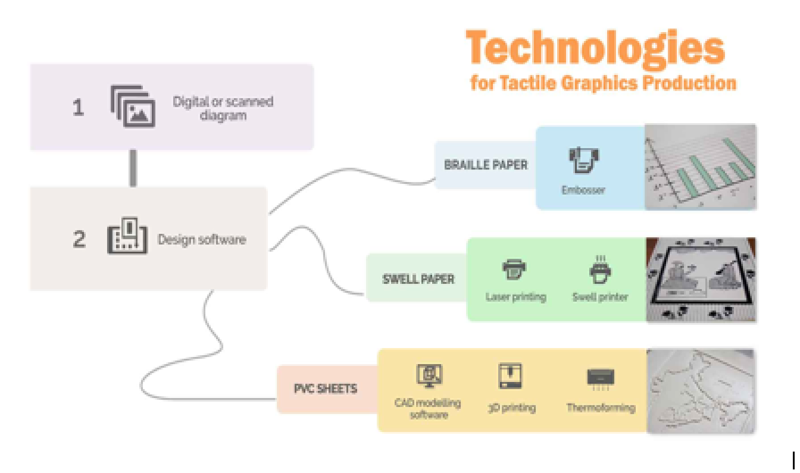 Tactile Graphics are images that consist of raised lines and textures that can be used by people with visual impairment to understand some graphical information using their sense of touch. Tactile Graphics are produced using embossing or other technologies on physical medium like swell paper or PVC sheets. This technology is very useful in various fields like Education where textual content in Braille can be enhanced using Tactile Graphics images. 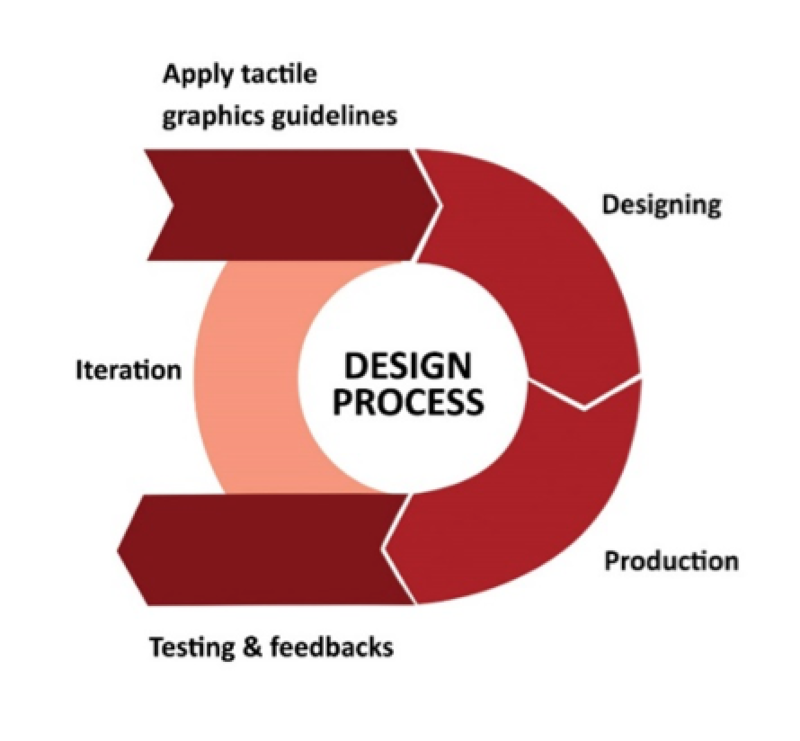 Redesign the image using the professional graphic design software based on international guidelines. Assign suitable textures, line styles and add Braille labels. Multiple ways of producing tactile diagrams from the print tactile images have been established and the type of production method used depends on the complexity of diagrams and the volume required.